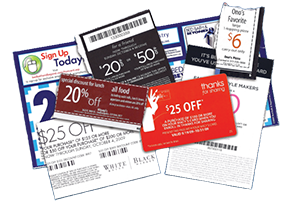 Businesses can now join the mobile marketing trend by offering mobile coupons to their customers. iBuildApp’s platform is a free, easy way to build an app with mobile coupons. iBuildApp today announced the launch of Mobile Coupons. Added to their mobile app service, now any business can make and distribute mobile coupons and give their customers special discounts. The process takes just minutes and doesn’t require writing any code. iBuildApp offers a web-based do-it-yourself platform for building mobile coupons using an existing RSS feed or the HTML editor. Just enter a coupon name and description. Enter a URL to a coupon or use the WYSIWYG editor to enter one manually. With this tool, anyone can create, customize and manage an application that has mobile coupons and upload it to an app store. It’s quick to build, update or delete coupons with no need to wait for app store approval. The apps also have social media integration so people can share offers with their friends, which gives a business even more exposure. “We wanted to help small and mid-size businesses make their own mobile coupons in their own apps. Instead of using services like Groupon, they can make their own coupons. Not only will they save money, they can create customers who are loyal to their own brand,” said Rafael Soultanov, CEO at iBuildApp. The new offering from the iBuildApp team follows iBuildApp’s set of top mobile solutions for iPad and iPhone.